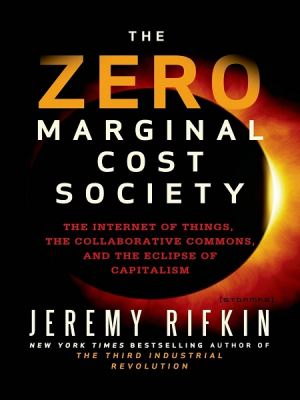 No matter how you think about the details of Rifkin’s predictions, he makes persuasive points on what very low marginal costs can entail. This is obviously true for the areas he addresses (the economics of production, welfare, labor, automation, consumption). If we buy Rifkin’s arguments, IPE scholars and others who care about economic power and growth prospects will put less emphasis on traditional metrics of factor endowments. If the Netherlands are just much better at making use of renewables than Russia, size is a bad predictor of success. How do you model something like the political will to embrace the future? The marginal cost of reaching one more pair of eyes applies to political mobilization. No matter how high your PR budget, you can reach millions of potential recruits if you’re willing to be excessively cruel and upload an execution video. And how does having a single “viral” idea (involving buckets of ice) measure up against having a more traditional structure of supporters? I’ve covered intelligence activities here on the blog, in particular the large-scale surveillance conducted by the NSA and other agencies. Consider the logic of technology-driven surveillance: The marginal cost of targeting one more person is virtually zero. Keeping that person’s data for one more unit of time is free. And there is no physical or technological limit in sight. Similarly, I suspect that “cyber war” skills probably scale at close to zero marginal costs. Once you managed to infiltrate a crucial bit of IT infrastructure (and still have plausible deniability to mitigate political repercussions), deciding about the amount of damage you want to inflict will not be a matter of costs. I’m sure there are many more examples. And if you’re willing to bear the cost of adding one more book to your reading list, consider Rifkin’s.